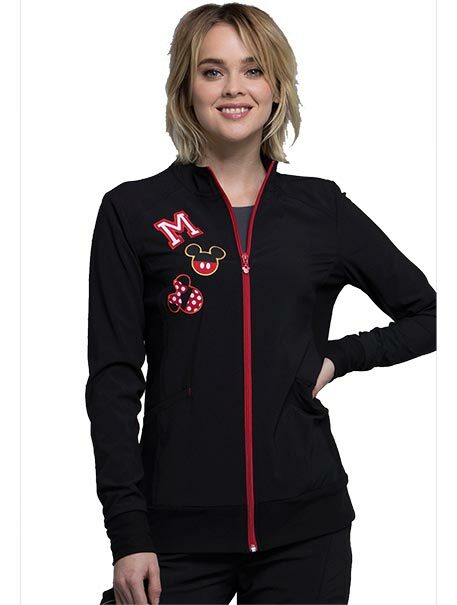 A Contemporary fit, zip front warm-up sporty jacket feature front and back shoulder yokes, front and back princess seams, and front pockets. Front side panels, waistband and cuffs are in soft knit. Center back length: 26"